I’ve become a pretty heavy coffee drinker over the past several years, and it’s hard to imagine going back to a life of not taking advantage of the benefits of caffeine on a regular basis. I’ve found, however, that I have to be very careful about my love for coffee and “coffee culture,” as it’s easy for me to go overboard with the stuff. Most caffeine consumers know the feeling all too well: jitters, nervousness, irritability, anxiety, increased heart rate, shortness of breath, and so on. While I find the chance of exceeding my coffee threshold a worthwhile risk for my enjoyment of coffee, there are some days when I just need the benefits without the potential downsides. Which brings me nicely to the beverage of concern: pureLYFT Clean Caffeine stir sticks. PureLYFT is a new clean caffeine beverage enhancer that seeks to offer an easier and cleaner "pick up" than coffee or sugar-laden energy drinks. With pureLYFT, you simply stir a dose of clean caffeine into any drink of your choosing, from water to sodas and juices to cocktails to anything else. You can even stir it into your coffee, if you're looking for a mega-boost of caffeine (although that might eliminate the benefits of the whole "no jitters clean caffeine" idea). Each pureLYFT stir stick contains 120 mg of caffeine, comparable to a typical 12-ounce cup of coffee. The draw, however, is in the clean caffeine formula used by pureLYFT. The idea of "clean energy" is not necessarily a new one in the functional beverages sphere (although I'd argue that pureLYFT has one of the more novel applications of it). As mentioned earlier, coffee and other energy drinks can be a reliable way of getting the lift that you need to get through those periods of tiredness during the day, but they often come with unwanted side effects. And in the case of energy drinks, they also often come with high levels of sugar, as well as artificial colors and flavors. Clean energy was a response to this—a push to go "all natural" and provide the benefits of energy drinks without all of the "junk." However, pureLYFT pushes this one step further with their Clean Caffeine formula by not only providing energy without the sugars and artificial ingredients, but also supplying the benefits of caffeine without the jitters and crashing that often comes when they wear off. PureLYFT's Clean Caffeine formula is a combination of un-roasted green coffee bean extract, a bit of stevia, and a vitamin A and B complex. Aside from the ingredients used for the various flavors, that's really about it. I've had the opportunity now to try pureLYFT in a couple of different settings, and it's worked well each time. I've tried it a few times in the office to make full use of those last few hours of the work day, I've used it to wake myself up on more than one lazy weekend afternoon and take advantage of my free time, and I've even had one to help myself through an all-nighter finishing up a conference paper. Each time, I have felt the energy boosting effects as I would with coffee, but as sure as the fine people at pureLYFT claim, it came with almost none of the downsides. There were a few occasions in which I felt some minor "exit effects" around the time that the caffeine was expected to be wearing off (some twitchiness, slightly increased heart rate), but they only cropped up a couple of times, and they were still much less disruptive than when I overdo it with coffee. The energy supplement gave me a noticeable boost of focus that helped me get through my tasks for the day/night without having to take a break to "come down" off of my caffeine intake. Taste-wise, pureLYFT is also pretty true to the claims that it won't affect the flavor of your beverage. The original pureLYFT option is simply a flavorless powder that can be added easily to any beverage. It does, however, have a slight sweetness to it, due to a small amount of sugar and stevia included in the mix (likely to combat any bitterness that might come from the powder). This isn't an issue at all if you're already adding it to a sweetened beverage like juice or other soft drinks, but the sweetness is noticeable when added to plain water. It's still a pleasant, mild sweetness that tastes perfectly fine, but just know in advance that you will be able to taste it if added to your water bottle. For those who are looking for something to add a little bit more flavor to their wake-up call, pureLYFT is now also offering three new flavored versions of the powder: mixed berry, lemon-lime, and orange. I enjoyed the orange flavor the most, and I found it to be particularly tasty when added to cola (I put mine in a Coke). The mixed berry flavor was great by itself in water, but I can see it matching well with softer flavors like a light lemon-lime soda or hot tea. I liked the lemon-lime the least, but the flavor itself was not bad, so if you are a big fan of the classic lemon-lime taste, I still say go for it. Of the three, I think that the orange is the best bet, but you are not likely to be disappointed with any of the flavors. However, I think that my ultimate recommendation would probably be to stick with the original, particularly if you are a first time buyer. While the flavors are good, it does make it harder to find something appropriate to mix it with, and one of the core appeals of pureLYFT (at least to me) is the ability to turn any beverage into a quick pick-me-up. As far as that goes, the original is the most versatile option. But if you're planning on adding it to water most of the time, any of the three flavors is a great choice. 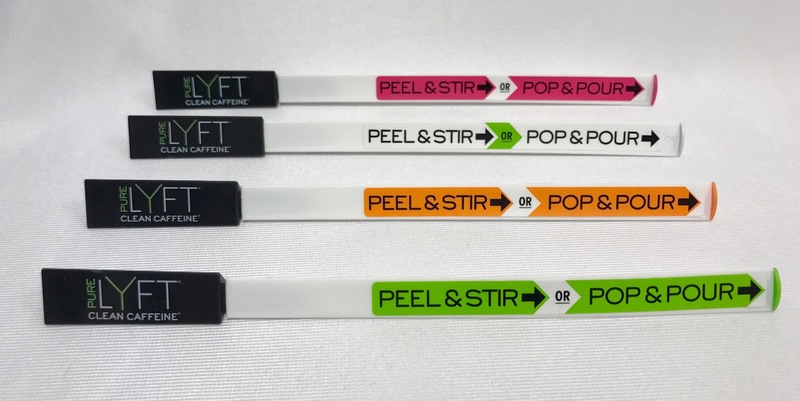 These are pureLYFT stir sticks. As you can see by now, it's triangular in shape, with a black handle and a hollowed out body that contains the powder. To use pureLYFT, you can either peel off the sticker to reveal and array of small perforations on the body of the stir stick. You then stir it into your drink, which releases the powder through the newly exposed holes. 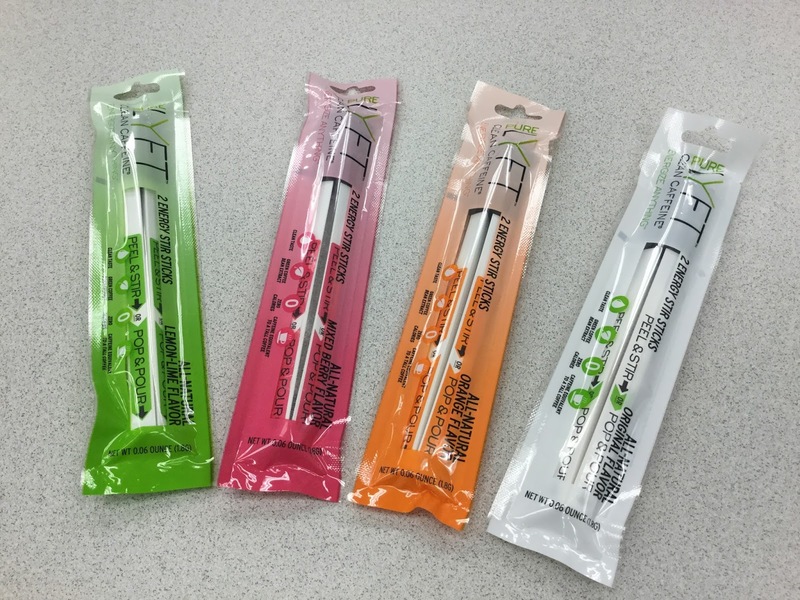 This is a clever idea, and a nice solution to containing the supplement within the stir stick, but I have sometimes found that too much liquid gets into the body of the stick, and the powder tends to clump up before it is fully released, making it hard to get all of it out. Additionally, it can sometimes be difficult to get the sticker off without inadvertently flicking some of the powder onto the surface under your glass (even when holding it over your drink as instructed). 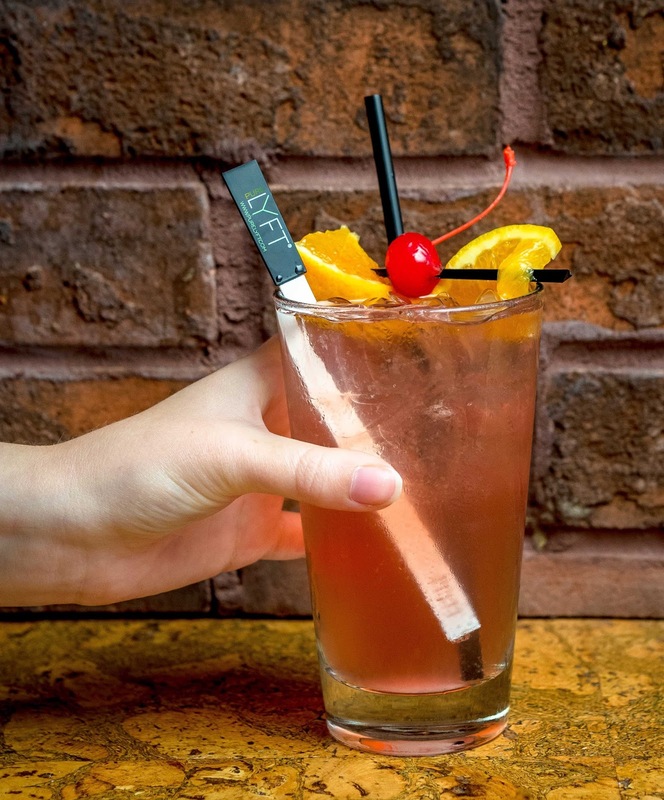 Thankfully, pureLYFT has also included a removable cap on the end of the stick that allows you to simply pour the powder into your drink and then use the stick to stir it in. While the sticker method is novel, I find the cap to be a much simpler and more effective solution. I have found the caps to vary somewhat in their resiliency, however, and some have been much easier to remove than others, so it may be a good idea to keep your pureLYFT stir sticks in a separate pocket (or in a Ziploc bag) if you intend to throw them in a bag or satchel to be bounced around with other things. 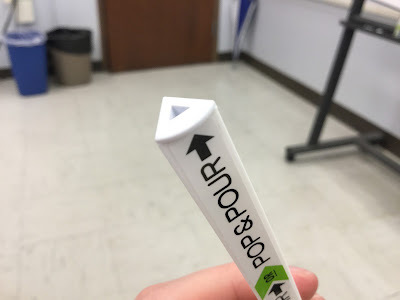 I haven't had a cap come loose on me yet, but it seems like a real possibility if the stick were to get pinched or wedged between other items. The presentation of pureLYFT is sleek and modern, and is sure to have at least one of your friends or coworkers asking about it when you take it out to use during a meeting. Because of my preference of the removable cap over the sticker, the thought has crossed my mind several times that the same needs could be met by a long pouch that contained both the powder and a wooden stir stick (which would probably also be more eco-friendly). But there is something to be said for presentation, particularly when your idea is as cool as pureLYFT's. So, to get to the long and short of it: is pureLYFT poised to take the place of my daily coffee? Probably not. But that has nothing to do with pureLYFT. I just really like coffee. What pureLYFT is about to do, however, is get an extremely solid recommendation. This is a great product with an interesting concept and an effective energy formula that I found to work well just about every time I used it. And to top it all off, it's surprisingly affordable for what it is. A pack of 12 sticks will run you roughly 24 dollars—about the same per stick as a typical cup of coffee, depending on where you drink. Readers of Drinkable Review who are interested in picking some up are in luck, however, as pureLYFT has been kind enough to supply us with a discount code for 25% off your first order. See below for details. If you're looking for a way to get some extra energy into your day without the concerns that come with other energy drinks, definitely give pureLYFT a shot. For more information about pureLYFT, as well as information about various purchasing options, visit their official website. To get 25% off your first order of pureLYFT Clean Caffeine, order through the official website and enter the code "getLYFTed25" at checkout.